With this ultimate insider's guide into the city, the reader can explore the secrets of Scotland's capital city. Edinburgh is rightly celebrated for its famous historical and cultural attractions. But for the discerning visitor it has much more to offer away from the well-worn tourist trail. This book takes you to hidden corners and secret sights in this city of contrasts, exploring fascinating locations unknown even to most residents, and revealing unexpected aspects of some familiar local landmarks. 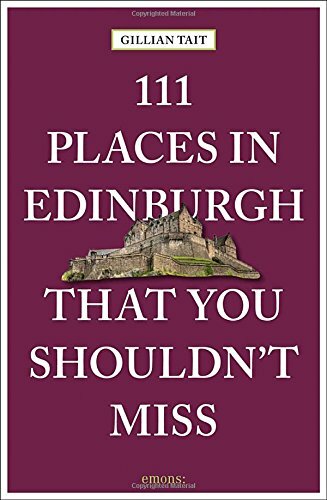 Marvel at a unique underground temple hewn out of the living rock; learn how a world-famous illusionist came to be buried here with his dog; find out why the city council once commissioned an enormous electric blanket; look out for the ordinary Edinburgh post box with an explosive history. Discover the human stories behind a wide range of places, both exceptional and commonplace, bringing to life the greatly varied cityscape where people have been leaving their mark for at least 5,000 years.